In today's competitive advertising climate, you've got to get creative to get noticed. 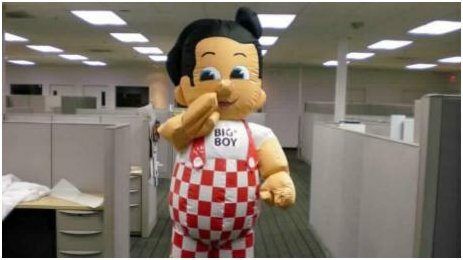 Inflatable costumes are a sure-fire way to get noticed, featuring cartoon-like figures in puffed up suits promoting your business. 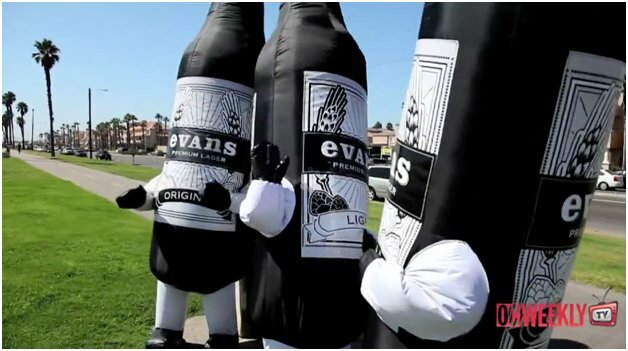 Inflatable costumes offer a creative and engaging way to promote your business and draw customers in. These costumes are not just for theme parks! An inflatable costume is a great opportunity to think outside of the box and have fun while promoting. Here, we'll discuss 8 creative ways that inflatable costumes can be used to help promote your business, so that you can get an idea of the many ways in which they can bolster your bottom line. Before we discuss how to use them for promotion, it may be helpful to step back and explain exactly what an inflatable costume is. 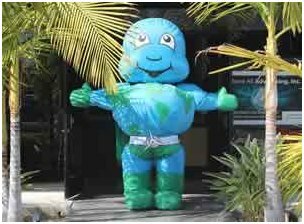 An inflatable costume is an advertising inflatable which is worn as a costume, making it a walking product that can help your business react on a personal level with people, and that can simultaneously leave a lasting impression. Creating a character within a promotional costume, you'll get noticed at trade shows, sporting events, or even outside of your own business doors. What makes an inflatable costume different from a typical Halloween-style costume is that it is fan powered and air-filled, so that the costume is puffed-out with cartoon-like dimensions. It's like a parade float, but on the ground! These characters are a great way of getting attention and extremely memorable. Inflatable costumes come in different shapes, and can include mascots, all-over logos, the shape of a new product, or whatever you and your designer can dream up! Are inflatable costumes complicated or uncomfortable? Another advantage of an inflatable costume is that it is easy to put on, as it is flat before the fan is turned on; all you have to do is put your feet inside of foot straps inside rubber soled shoes. Then, zip up the costume and turn on the fan! The costumes are lightweight, and the fan system constantly blowing air not only fills out the costume, but keeps the wearer cool. An inflatable costume is way cooler than a traditional fur or all-over rubber costume. Additionally, the costumes are sturdy, so when people inevitably want to touch, hug, or interact with the costume, it will keep its shape and not deflate. 8 Ways to Promote Your Business with Inflatable Costumes. Here are just 10 out-of-the-box ways to use inflatable costumes to promote your business. Mascots are a powerful way to create brand recognition and to engage with the public (think of the Pillsbury Doughboy!). 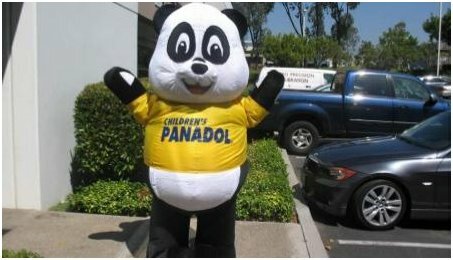 Creating a mascot for your company can create not only an opportunity for an inflatable costume but many other marketing opportunities. By having a suit of your mascot created, you can further the "story" of your advertising. Create a general character that relates to your business. If a mascot doesn't feel quite right, you can create a character that is not a mascot but that can represent your business. For instance, if you have a gym, you could get an inflatable costume of a muscular man to hand out flyers outside or show up at events. Create a walking version of your product. As you can see by the above photo, an inflatable costume doesn't have to be a mascot or specific character. You can create a blow-up version of your product that can walk around! The above inflatable costume is a beer bottle which makes for great photo ops. Bring your inflatable costume to a trade show. Trade show aisles can be monotonous, and it can be hard to make yourself stand out. But if you have someone dressed in an inflatable costume, either walking in the aisle outside of your booth or working the aisles of the trade show and handing out cards, you'll make yourself extremely visible extremely fast. People will immediately be drawn to your business as a fun and eye-catching booth to visit. Plus, inflatable costumes pack flat and are extremely portable! Take your business to a festival. Consider having a booth or kiosk at an outdoor festival, concert, or street fair. By having someone dressed in an inflatable costume, you'll stand out in the crowd and draw people in. The more people who come over to inquire, the more potential customers that you have exposed to your business! Sporting events, be they large scale or small scale local affairs, are great places to put your inflatable costume to work. Perhaps you sponsor an inflatable costume that acts as a mascot for the team but bears your branding, or perhaps you just have someone wearing your costume and handing out brochures or accompanying someone who can add people to your mailing list. Draw in customers from the street with an inflatable costume. If you dress someone up in an inflatable costume and put them on the sidewalk or in front of your business, you'll attract passers-by, both people walking and driving by. The novelty of an inflatable costume will make people who have driven past your business hundreds of times stop to take notice. Who knows--this might be the day that they need your service! Create a promotion or hashtag using your inflatable costume. People love taking photos with themselves with an inflatable costume. Urge them to use your hashtag or tag you on Instagram or Facebook--that will get you more of a social media following and can result in an increase in customers, too! Conclusion: Inflatable costumes can be a fun, eye-catching, and engaging way to promote your business to the public. There is a charming novelty to the costumes, but it can translate into real sales. By breaking the ice with something people don't see every day, they will get to know your business on a positive note and will associate you with fun and innovation. That makes inflatable costumes well worth the investment, and a fun way for you to invest in your business! Have you ever used an inflatable costume?